Nokia has entered into a partnership with HARMAN, the global leading supplier of premium audio and infotainment systems to develop innovative wireless consumer audio technologies exclusively for the Nokia Lumia range. Building on the design of the award-winning Nokia Play 360 Wireless Speaker, the PlayUp Portable makes a statement with its vivid colours and bold shape. Available in cyan, white, black - and the all new bright yellow its body is built using double-shot plastic for durability. The size and proportions of the speaker, including the minimal number of parts and parting lines, marry Nokia's highly acclaimed industrial design expertise with JBL's tightly defined and non-compromising audio target. Featuring more than 10 hours of continuous music with a single charge, the PlayUp Portable features a replaceable battery that's tucked away at its base. Additional accessories include a carrying pouch, a micro USB charger and a 3.5mm audio cable. iProf, Pioneer in Tablet Education, has launched India’s first and the largest Digital Library, and is accessible on the TheDigiLibrary.com. Investing about a million dollars in the project, this next-gen avatar of an online Academy promises to be much more, with 24X7 Teacher on Call and offline availability of courses. “We are excited by the possibilities that are emerging in technology to enhance education. The DigiLibrary brings together simple innovative solutions combined with a robust technology to create an effective delivery mechanism,” said Sudhir Sethi, Founder CMD, IDG Ventures India. The DigiLibrary is a unique concept developed for India. Solving multi-dimensional concerns in Indian Education quality content, reach and assistance, The DigiLibrary is completely free for a member, and offers comprehensive education material for preparation of important competitive exams like engineering (IIT JEE), AIPMT, CAT, IAS, XI, XII and CA CPT etc, which would be scaled up to include courses for other grades of KG to XII. The course content includes video lectures of highly respected teachers completely freely accessible by the students. The DigiLibrary users are also supported 24x7 by a panel of teachers for clarifying all the doubts connected via phone or computer. VMware, Inc., the global leader in virtualization and cloud infrastructure, on Wednesday unveiled new VMware vSphere 5.1solutions to help small and midsize businesses (SMBs) at VMworld 2012. It simplifies and protect IT with industry-leading virtualization, business continuity and automated management. Virtualization is now mainstream amongst SMBs, with companies increasingly focused on extending the benefits of virtualization to improve IT availability and backup / recovery. Recent studies by Spiceworks found that 77 percent of SMBs are either using or planning to use virtualization software by the second half of 2012, and that of those who have already virtualized, more than 75 percent have chosen VMware vSphere as their virtualization solution. VMware vSphere is the most trusted, most widely deployed virtualization platform in the world. Built on the industry’s most proven and reliable hypervisor architecture, VMware vSphere delivers application performance and availability for the most demanding business critical applications. Announced today, VMware vSphere 5.1 will include more than 100 enhancements and new features that can increase efficiency, reduce IT operations costs by as much as 30 percent and guarantee application service levels. Nearly four in five likely U.S. voters believe it is important for technologies such as video calling to work together to help create jobs, promote innovation and deliver critical benefits in remote health care, education, business and other services, according to a newly-released survey. In fact, at least two thirds of Democrats and Republicans alike believe that more jobs will result from open video calling for instance, dialing a certain number to reach someone on any video system than if consumers and businesses are forced to rely on closed systems that can only talk to one another. In a survey of more than 1,000 likely U.S. voters conducted on behalf of Cisco by Purple Insights, a division of Purple Strategies, 89 percent felt that the ability of two devices or programs made by different companies to communicate with one another known as interoperability was personally important to them, with almost half indicating such communication is extremely important to their use of devices at home or at work. Of respondents, 77 percent want video calling to be as easy as making a phone call is today. The use of video by consumers, government and business is growing at a staggering rate. According to the Cisco Visual Networking Index, in just three years, one million video minutes (the equivalent of 674 days) will traverse the Internet every second. Use of video calling services is also increasing. For instance, on February 27th of this year, Skype reported that 34 million people were using the service at one time. As video collaboration becomes increasingly mainstream, multiple vendors will have to work together to enable global scale and broad customer choice like consumers have today with phone, Internet and email. Currently, not all video calling technologies work together. Cisco's TelePresence and many other video communications products connect using the same standards-based "language." Unfortunately, one of the most popular consumer video calling services, Microsoft's Skype, relies on proprietary standards, which hinders Skype's more than 600 million users from calling non-Skype users, and prevents businesses from reaching them via systems that offer services such as health care and job training by remote video. Cisco is a strong advocate of video communications using underlying technologies based on open standards agreed upon by credible standards bodies open to all interested industry participants, a framework that has been used successfully to create the standards that underlie the Internet, email and voice calling. With this approach, anyone who adopts an open standard is assured of basic interoperability that is not controlled by any single commercial vendor. 87 percent of respondents want companies to agree to a common standard for video calling so that programs will work together.77 percent believe that video calling should be as easy as making a phone call while Two-thirds, regardless of party affiliation, believe more jobs and innovation will be created with open and interoperable video. 83 percent (67 percent strongly) want Skype to be interoperable with other video technologies. 63 percent agree that innovation is how companies grow, how new companies start and how prices are kept down. If one company, such as Skype, controls a majority of the video calling market and does not make its product interoperable, respondents believe that will cut off innovation, slowing the growth of technology jobs and increasing prices. "Video is the most engaging medium and its use in every aspect of our lives is growing exponentially. Consumers and business users alike today are demanding that video communications solutions work together and that making a video call be as seamless and easy as making a phone call. This is about freedom of choice, and we the technology industry must rally around open standards, as we did so effectively with telephone service, the Internet and email. Only with a truly open video community will we fully reap the economic and social benefits of this transformational technology", said Marthin De Beer, Senior Vice President, Cisco Video & Collaboration Group. GTS Poland, member of GTS Central Europe, a leading provider of integrated telecommunications and data center services in Central and Eastern Europe, signed a contract with the Polish Medical Air Rescue for construction of an IP VPN and provision of an Internet access service. The contract, for the amount of nearly 480 000 EUR, is the result of a tender procedure carried out by an institution providing prompt medical aid and air transport of patients nationwide. 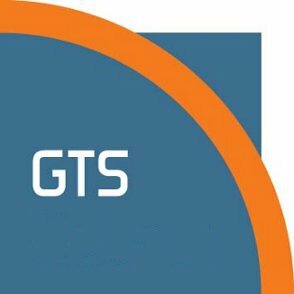 GTS will be building the complete IP VPN system. This comprehensive project will be untypical due to the specific location of the bases of the Polish Medical Air Rescue outside cities, where the availability of a telecommunications infrastructure is much poorer. This will allow GTS to use its experience in building extensive, advanced data transmission networks in Poland and throughout Central and Eastern Europe to deliver this contract. The network to be created by GTS will connect all 19 locations of the Polish Medical Air Rescue nationwide. Used by over 530 employees, it will be handling the IT systems of this institution. Additionally, GTS will provide Internet access to one of the locations of the Polish Medical Air Rescue. The whole network will be integrated and secured against external access. "We are happy that we have been awarded such contract and that our technological solutions will assist the daily operations of an institution that helps patients nationwide in Poland. ", Piotr Sieluk, CEO of GTS Poland. Huawei, a leading global information and communications technology (ICT) solutions provider, has been selected to provide its advanced IP microwave solution for the next-generation LTE backhaul networks of Movicel in Angola and Mobile. Movicel and MTC will be the first two operators to provide commercial LTE services in Africa. "Huawei will continue to play an active role in building Africa's telecommunications infrastructure,"said Qi Feng, General Manager of Huawei Microwave Domains. "As Africa's commercial LTE industry accelerates, Huawei's IP microwave solution serves as a strategic engine for its mobile broadband development." Huawei's UMTS/LTE-ready IP microwave solution is ideally suited to meet the requirements of LTE backhaul deployment, which involves high bandwidth, smooth service evolution, rapid deployment, and convenient network management. The solution provides up to 2 Gb/s to each individual operator, supports a simplified clock synchronization and allows unified network management for optical transmission and wireless equipment. Huawei has become a trusted partner to operators looking to deploy LTE backhaul networks in Africa and around the world. In Nigeria, 4G Mobile and ZODAFONES deployed the first commercial TD-LTE network in West Africa and utilized Huawei's IP microwave solution, RTN 900, for their LTE backhaul networks. Huawei's solution also successfully empowered the LTE backhaul networks of top global operators, including O2 in Germany, T-Mobile in Austria, and the Saudi Telecom Company in Saudi Arabia. 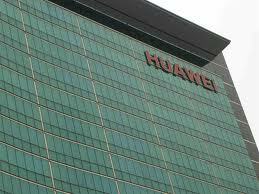 According to Dell'Oro, Huawei ranked second in the global microwave market as of Q1 2012. Noida Software Technology Park Limited , a JAIN TV group company, along with Motorola, Intelsat and KIT digital, have launched India’s first direct to network (DTN) cable service JAINHITS. JAINHITS will mobilize the investment of over Rs 1500 crore over the period of five years in the Headend In The Sky (HITS) platform, with strategic support from its partners to deliver affordable digital service to existing cable operators and MSOs and help them meet the Government’s National Digitization Mandate. Motorola is the end to end technology partner, KIT digital is the solution architect and managed services partner, and Intelsat is the satellite provider for the JAINHITS service. JAINHITS service will be available pan India to cable operators and MSOs by November 2012. Dr J. K. Jain, Chairman, Jain TV Group said, ‘Instead of investing our energies and money in building multiple digital headends, Cable Operators should join hands towards creating the HITS partnership into a Federation of Cable Operators that will jointly create India’s unique new generation network to carry entertainment, education and information across the length and breadth of India . Let JAINHITS Federation of Cable Operators lead India to a cheerful digital revolution. 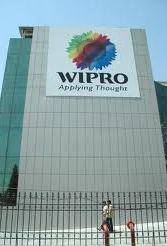 Wipro Limited and the University of Massachusetts Boston today jointly announced the launch of a 12-month fellowship program in the US to train 120 school teachers over three years, with the aim of fostering excellence in science education among students from disadvantaged areas of Boston and New York. The one-year Wipro Fellowship program for teachers is aimed at developing competencies and galvanizing their leadership potential to make them catalysts of change in their schools, districts and among educators. "The US is the cradle of innovation. This program is part of Wipro's efforts to align with US' goal to engender an environment that continues to instill and nurture scientific temper and innovative spirit among young people”, said T.K. Kurien, Chief Executive Officer of IT business and Executive Director, Wipro Ltd. The program, to be entirely funded by Wipro, will identify 40 experienced science teachers in the Boston and New York areas from those engaged with kindergarten to grade 12 every year, after a rigorous selection process. The nomination process for the fellowship will commence in January 2013 and the selection is due to be completed by March 2013. The course is scheduled to begin on September 1, 2013. Selected teachers will undergo 250 hours of intense capability development training by a team led by Arthur Eisenkraft, distinguished Professor of Science Education and Director of the ‘Centre of Science and Math in Context’ (COSMIC) at the University of Massachusetts Boston. Each teacher will continue to teach in their respective schools, and during the duration of the fellowship, they will also engage with local communities and other interested teachers to catalyze broader improvement. The program deeply integrates three dimensions to help enable this: leadership, reflective practice and adult learning. The program involves a comprehensive set of activities that will seek to improve teachers’ pedagogical and content knowledge with the aim of boosting the performance of underprivileged students. UMass Boston will partner with a university in the New York City area and multiple school districts in the Boston and New York to administer this program. Wipro’s science education initiative aligns with the “Educate to Innovate” campaign that seeks to improve the performance of US students in science, technology, engineering, and mathematics (STEM). “The University of Massachusetts Boston community is grateful for Wipro’s investment in the education and futures of our young people. Effective, engaging STEM education is crucial to students’ success; we are delighted to play a role in providing Boston’s teachers with new skills for imparting mastery in these fields,” said UMass Boston Chancellor, J. Keith Motley. “The program is designed to create a cadre of teacher leaders and help underprivileged students achieve excellence in science education. This dovetails with our goal of working with academia to identify and develop leaders of tomorrow. This is another step towards our vision to contribute to achieving high quality universal education.” said Anurag Behar, Chief Sustainability Officer, Wipro Limited. Airtel digital TV, the DTH service by Bharti Airtel, on Thursday launched an innovative self care facility for its 7.4 million plus customers in India. Available for free for all Airtel Mobile customers, this is the world’s first USSD based service innovation that will allow Airtel mobile customers to manage their airtel digital TV with options of recharge, movie booking and top up additions, to name a few. Customers can access the facility by simply dialling a toll free number *121# from their mobile phones. Commenting on the launch, Shashi Arora, CEO, DTH/ Media, Bharti Airtel, said “The technology market in India is ripe for creating mobile applications that make self-care fun, and enhance the quality of customer engagement for organizations. The availability of this unique USSD facility is just another example of our constant endeavour to offer the best to our Airtel digital TV customers. We believe it will truly enrich their lives by providing them convenience of managing their Airtel digital TV account via their handheld devices”. This new service is device agnostic. AGC Networks said on Thursday that it has attained the ‘Microsoft Gold Partnership Communications’ competency. This demonstrates the “best-in-class” ability and commitment to meet Microsoft Corp. customers’ evolving needs in today’s dynamic business environment and distinguishing itself within the top 1 percent of Microsoft’s partner ecosystem. Outlining the process, AGC shared that to earn a Microsoft Gold Partnership competency, partners must successfully complete exams (resulting in Microsoft Certified Professionals) to prove their level of technology expertise, and then designate these certified professionals uniquely to one Microsoft competency, ensuring a certain level of staffing capacity. They also must submit customer references that demonstrate successful projects (along with implementing a yearly customer satisfaction study) and pass technology and/or sales assessments. All of the above was successfully showcased by AGC towards achieving this competency. 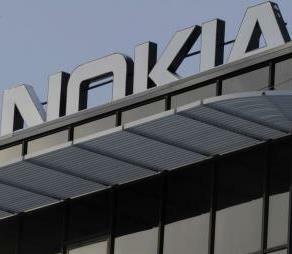 A city district consumer forum has ordered Nokia India to pay Rs 67,000 for indulging unfair trade practice for selling a defective phone to one of its customers. The company had failed to repair the defective phone or refund the price of the phone which one Rohan Arora of New Delhi bought in July 2007 for Rs 37,000. The forum also held retailer Luthra Communications guilty of resorting to unfair trade practice. "When the complainant (Rohan Arora) left the defective piece of good to its manufacturer, it was incumbent upon it either to remove its defect to satisfaction of the complainant or to refund its (mobile's) amount with interest. But opposite party did not bother to resolve such genuine request of the complainant. "Hence we hold both the opposite parties (Nokia and the retailer) guilty for gross deficiency in service and unfair trade practice and direct them to jointly and severally refund the amount of the handset amounting to Rs 37,000 and to further pay a compensation of Rs 25,000 for supplying a defective good and thereafter not replacing the same or to remove its defect to his satisfaction." "They shall also pay a sum of Rs 5,000 towards the cost of the proceedings," the bench presided by MC Mehra said. Cable & Wireless Communications (CWC) has signed new long-term operating licences with the Government of St. Helena which will lead to the expansion of telecoms services, including the island’s first mobile network. Cable & Wireless St. Helena has signed new 10 year operating agreements for the provision of telecoms and television services. Under the new agreement Cable & Wireless St. Helena will roll-out a mobile network in 2014, a year before St. Helena’s first airport becomes operational, which is expected to lead to the development of a tourism industry on the island. CWC will also upgrade the island’s broadband network, and has committed to double the speed of its broadband service by 2013, and increase the number of television channels available on St. Helena from three to 15. Customers will also benefit as broadband and international fixed line call prices are reduced over the lifetime of the agreement. NETGEAR, a global networking company that delivers innovative products to consumers, businesses and service providers, has announced the launch of NETGEAR N750 Dual Band Gigabit WiFi Router, Premium Edition (WNDR4300), a wireless solution that combines a feature-rich set with blazing fast 750Mbps (300 + 450 Mbps) speed to stream HD video, support multiplayer gaming and handle large file transfers. Featuring secure NETGEAR ReadyShare Cloud service and compatibility with Apple® Time Machine, the NETGEAR N750 is a cost-effective router that makes home networks faster, more reliable and easier to manage in medium-to-large homes. Reliance Communications, India's fully integrated telecommunications service provider has won Rs.150 crores multiple orders from central and state governments. Karnataka DISCOM has signed an agreement for five years with Reliance for rolling out MPLS service across 850 locations and Wireless data connectivity across 60000 data acquisition points whereas Chattisgarh DISCOM has signed a six year contract with Reliance for rolling out MPLS service across 250 locations. The MPLS VPN service by Reliance is on a secure network of high speed wireless last mile connectivity and provides the remote offices or traveling users an access to the central organizational network. The remote users of the network are authenticated and the data is secured with firewall and encryption technologies in order to prevent disclosure of private information to unauthorized parties. 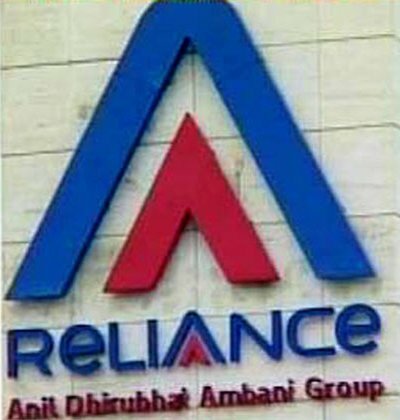 The Department of Post has decided to embrace Information Technology in its roadmap to offer superior customer experience to citizens and have chosen Reliance Communications for hosting their servers over a 3000 sq.ft space at Dhirubhai Ambani Konowledge City in Navi Mumbai. The Disaster Recovery site will be customized and built over 2000 sq. ft of space in Mysore. 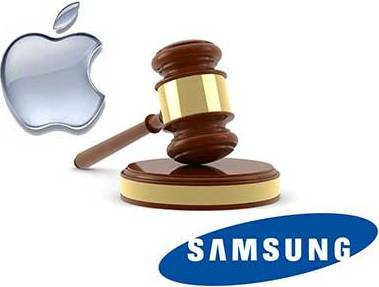 In a setback to Apple Inc. a Tokyo court on Friday said that Samsung Electronics' mobile devices did not violate an Apple Inc patent. Last week Apple won more than $1.0 billion in a massive US court victory over Samsung with jurors finding that the South Korean firm had "willfully" infringed on Apple's patents. The Tokyo District Court gave the ruling on Apple's claim that Samsung illegally copied technology from its iPhone and iPad computer for some of its Galaxy smartphones and tablet. Apple is seeking 100 million yen ($1.27 million) in compensation from Samsung's Japanese units, and has accused it of stealing technology used to transfer music and video files, according to Jiji Press. Tokyo District Judge Tamotsu Shoji directed Apple to pay costs of the lawsuit after his verdict, the latest decision in a global dispute between the technology giants over patents used in mobile devices. Following the ruling Samsung shares rose, erasing earlier losses. 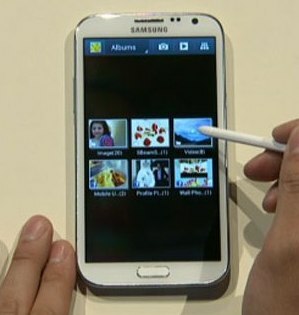 Samsung welcomed the decision, the company said in a statement. Carolyn Wu, a spokeswoman for Apple, declined to comment. 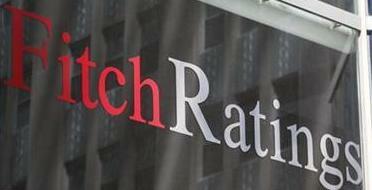 Fitch Ratings has downgraded India based Tulip Telecom Limited's (Tulip) National Long Term rating to 'Fitch D(ind)' from 'Fitch BB+(ind)'. The agency has also downgraded Tulip's INR1.25bn non-convertible debentures to National Long-Term 'Fitch C(ind)' from 'Fitch BB+(ind)'. All the ratings have been removed from Rating Watch Negative (RWN). The downgrade reflects Tulip's inability to timely redeem its USD97m outstanding foreign currency convertible bonds (FCCBs), which were due for redemption on 26 August 2012 at a premium of 44.506%. Out of the total redemption amount of USD145m, the company has so far arranged only INR4bn (USD72m) through rupee debt. It has received firm commitments of USD50m towards the subscription of a fresh FCCB issuance, subject to the balance amount being deposited through a bank debt into an escrow account initiated specifically for redeeming the existing FCCBs. Tulip is raising the balance amount for redeeming FCCBs and expects to complete the process by 10 September 2012. Samsung on Wednesday launched new smartphone called ATIV S becoming the first company to launch a smartphone using Windows 8 OS. The company made the announcement at Berlin electronics show. Interestingly the announcement came at a time when Nokia was expected to announce its new Lumia line of smartphones using Windows Phone 8 in New York on September 5. Samsung's ATIV S Windows phone has a high-end 4.8-inch display, Corning Gorilla glass, and an 8-megapixel rear camera and 1.9-megapixel front-facing camera, Microsoft posted on its official blog on Wednesday. With the introduction of Microsoft’s Windows 8 and Windows Phone 8 operating systems, Samsung introduces “ATIV”, the new brand for its Windows-based devices. ATIV, the reverse order of the word VITA, meaning “Life” in Latin, is a pledge by Samsung to make everyone’s life extraordinary with excitement. “Samsung is delighted to introduce a wide portfolio of Windows 8 and Windows Phone 8 powered devices. With our leadership in design and technology and Microsoft’s leadership in operating systems, together we are able to provide customers with a full range of ATIV devices for cross-category convergence,” said Seong Woo Nam, Executive Vice President of IT Solutions Business at Samsung Electronics. HP on Thursday unveiled two consumer notebooks featuring multitouch displays, including a uniquely designed hybrid PC that gives people more choice in how they access information. The HP ENVY x2 is a powerful and ultrathin hybrid PC with the advantages of two devices in one. As a notebook that doubles as a tablet, the HP ENVY x2 has a detachable screen that becomes a full tablet when separated from the keyboard via a seamless magnetic latch. The HP ENVY TouchSmart Ultrabook 4 brings the intuitive power of touch to ultramobile PCs. These notebook PCs are the first HP products announced with Microsoft Windows 8; additional notebooks, desktops and tablets will be announced later in 2012. Featuring a sleek aluminum finish and an innovative hinge with magnets that smoothly guide the tablet into place, the HP ENVY x2 weighs 1.41-kilos(1). When separated, the tablet portion weighs just 0.71-kilos. The HP ENVY x2 also makes sharing and staying connected with friends and family a breeze. A new HP Connected Photo application(3)(4) seamlessly syncs photos across multiple devices and offers basic editing options and instant sharing capabilities for social networks. 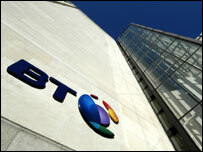 BT on Thursday said that it is further improving its reach into Russia through a new network interconnection agreement with Rostelecom, Russia’s national telecommunications operator. 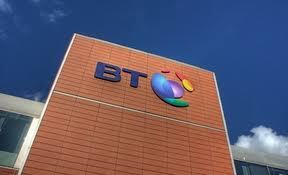 The agreement will significantly improve BT’s ability to serve its corporate customers across all regions of Russia with its BT Connect portfolio of intelligent network services. BT Connect underpins mission critical applications for leading enterprises from a variety of industry sectors, including financial services, manufacturing, logistics, pharmaceutical and oil & gas industries. BT already serves around 400 large organisations in Russia, including many of the world’s leading global multinational companies with operations in the country. Many local and international financial service providers rely on BT’s network to connect to the BT Radianz Shared Market Infrastructure, the world’s largest cloud based platform serving the needs of the financial services sector. Rostelecom operates a highly sophisticated network that spans the whole country. Its national network consists of approximately 500,000 km of backbone infrastructure, providing services to approximately 43 million residential and enterprise customers. Idea Cellular, India’s 3rd largest mobile operator on Thursday launched its latest super-fast 3G dongle with cloud based services. This offers three key features including internet access; storage capacity of 2GB on the cloud, making it convenient for users to access their data anytime and anywhere; and Cloud Messenger+ a cloud based messenger service allowing free and unlimited communication between cloud users. The new cloud dongle from Idea also allows users to share pictures, music, videos and documents through the ‘Cloud Share’ option, syncing all the attached devices. Users of Idea dongle can also avail other cloud features such as data backup and easy recovery, thus making it the safest and most secure device for internet access and data storage. Idea has become the only operator to launch this innovative product which offers fast, safe and affordable data connectivity, and connects easily and quickly to any PC, netbook or laptop. 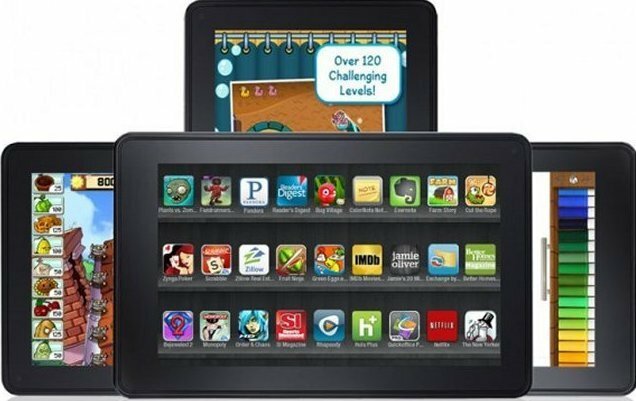 Kindle Fire introduced by Amazon introduced less than a year ago has quickly became the most successful product launch in the history of Amazon.com, earning over 10,000 5-star customer reviews, and is the top best-selling product across the millions of items available on Amazon. Amazon on Friday said that Kindle Fire is sold out, and that in just nine months, Kindle Fire has captured 22% of tablet sales in the U.S.
Kindle Fire offers customers a vast selection of digital content over 22 million movies, TV shows, apps, games, books, magazines and more in one seamless, end-to-end experience, making it easy for customers to browse, discover and purchase. Since Kindle Fire launched last September, all of the top 10 products on Amazon across all products are digital products. ZTE, a leading global provider of telecommunications equipment, network solutions and mobile devices, will launch its first Android Ice Cream Sandwich smartphone with Intel Inside, the ZTE Grand X IN. 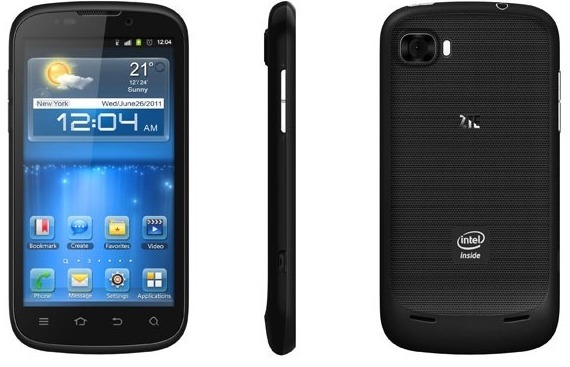 This ZTE flagship handset is the latest product from the ZTE Grand series and will be launched in Europe in September. The Grand X IN delivers fast and efficient performance via the low power Intel Atom processor Z2460 with Intel Hyper-Threading Technology, and support for HSPA+ 21Mbps network with the Intel XMM 6260 Platform. Together, these Intel technologies help deliver end users with an energy efficient, high performance user experience enabling fast browsing and a responsive Internet experience. The ZTE Grand X IN has a 4.3-inch, 16 million colour screen, a best-in-class 8MP camera, Blu-ray quality movie playback and long battery life with a 1650 mAh, Li-Ion battery. With a 127 x 65 x 9.9mm chassis the Grand X IN also features the latest communications capabilities including Bluetooth 2.1, Wi-Fi & Wi-Fi Direct, DLNA and Mobile HD link (via micro-USB) short range connectivity. Its wide range of audio-visual features includes Dolby Sound, HD Video Capture and HD Voice. “The Grand X IN is ZTE’s first flagship smartphone in Europe to feature Intel Inside, and we look forward to building our partnership with Intel,” said Ao Wen, Vice President of Europe Operations for ZTE Handsets. “The handsets in the ZTE Grand portfolio are quality devices focused on providing a great level of service and, with the inclusion of Intel’s technology in the Grand X IN, we have provided a handset with enhanced capabilities, reliability and performance. “We’re pleased to extend the close collaboration we entered with ZTE at Mobile World Congress 2012 to Intel-based smartphones. ZTE is a fast growing global handset maker that strives to create products with features and capabilities that people care most about,” said Helmut Vogler, vice president and general manager of Mobile and Wireless Sales for Intel Corporation. 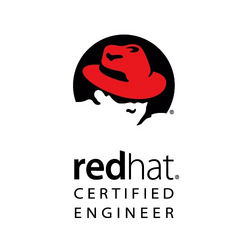 Red Hat has acquired business process management (BPM) technology developed by Polymita Technologies S.L. The deal accelerates Red Hat’s entry into the BPM software segment and augments its JBoss Enterprise Middleware integration software offerings. Storage has always been an important part of virtualized environments ever since the day VMware first introduced VMotion. However, as data centers have become more virtualized and tied to the cloud, storage has become a critical component. The importance of storage to virtualized environments and to the cloud has never been more clear than at VMworld, where vendors large and small are introducing new flash storage arrays, data protection software, intelligent management, tiering to the cloud and more. If you thought the storage offerings from last year's VMworld was big, you will be amazed at what's happening in 2012. Just turn the page to get started, don't forget to look for Part 2 of this wrap -- there was just too much excitement to put in one slide show. Ariba shareholders have given their blessing to SAP (NYSE:SAP)'s proposed $4.3 billion acquisition of the developer of cloud-based business commerce software. Following the shareholder vote Wednesday SAP said it anticipates winning regulatory approval for the deal and completing the acquisition in the fourth quarter of calendar 2012. 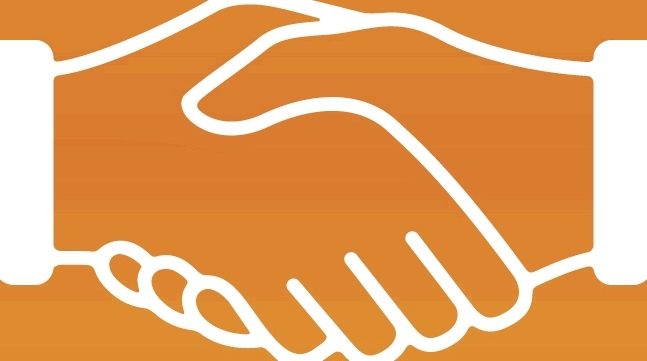 SAP and Ariba revealed the acquisition agreement in May under which SAP is paying $45 per share for Sunnyvale, Calif.-based Ariba. SAP said adding Ariba's business-to-business commerce applications to its product lineup would help it expand into B2B commerce networking markets. At the time of the announcement SAP said it hoped to close the acquisition in the third quarter. In July the U.S. Department of Justice, which reviews proposed acquisitions and mergers to ensure compliance with antitrust laws, requested additional information about the deal. SAP is striving to expand beyond its traditional on-premise ERP application roots. Earlier this year the company completed its $3.4 billion buyout of SuccessFactors, a supplier of cloud-based human capital management applications. Cisco (NSDQ:CSCO) has changed the licensing structure for its unified communications products, positioning the changes as a response to Cisco partners that have asked for more flexibility in UC licensing and for more features to be added to certain packages. Starting this quarter, Cisco will offer software-only licensing for customers that want to buy Cisco UC but not physical phones. 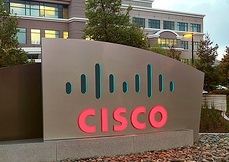 The San Jose, Calif., company also will make free to the channel Cisco's Enterprise Licensing Manager, an application that helps partners and customers track the Cisco licenses they're using. Perhaps most important, however, is that Cisco has rejiggered its licensing categories and added more bells and whistles to each without changing any of the pricing. The categories are now described as Standard, for UC use by workers primarily in corporate offices; Enhanced and Enhanced+, intended for workers that split their use between corporate desktop and mobile; and Professional, for power users who are often on the road and don't spend much time in corporate offices. Each category now includes access to Cisco Jabber, the company's fast-growing platform for embedding UC functions into a wide range of devices and operating systems. The Professional edition now includes WebEx Social, the social collaboration platform formerly known as Quad. "Number one, it's user-based in nature," said Richard McLeod, Cisco senior director, collaboration sales, worldwide partner group. "Number two, it's greatly simplified in terms of partner ability to design and quote. This is very much business-value-oriented. We're putting a lot more value and a lot more capabilities into the same price points we had before." All changes are effective with the release of Cisco Unified Communications 9.0, which the company first announced in June and which includes new features such as support for third-party conferencing endpoints and fixed mobile convergence. McLeod said that collaboration software now represents a north-of-$1 billion business for Cisco and that there are more than 60 million Cisco UC licenses currently in use. McLeod previously told CRN that collaboration as a whole represents at least a $42 billion addressable market for Cisco partners over the next few years. Collaboration was a weak spot for Cisco in its fiscal fourth quarter, but the company's overall UC and collaboration strategy has expanded and Jabber has been a big part of the story, having grown licenses 55 percent in volume. At the Cisco Partner Summit in April, Cisco confirmed an offer called Jabber for Everyone, in which it made presence and IM capabilities and Cisco Jabber clients available at no additional licensing cost to Cisco partners. Solution providers applauded the move, seeing it as an easier way to entice customers to Jabber and get more Jabber licenses in the hands of customers more quickly, at less cost. At the time, Cisco also said it would invest $1 million during its fourth quarter, which ended July 31, to reimburse partners for services that help deploy Jabber to customers. Cisco's promise was up to $20,000 per partner, depending on the number of Jabber licenses sold and, according to McLeod, Cisco blew through the entire $1 million earmark in 30 days. "The momentum is just great," McLeod said. "We positioned Jabber for Everyone ... as a foundation and footprint into much bigger things and that we wanted to help fuel [partner] excitement." Jabber is seen as one of Cisco's key weapons in the intensifying UC war with Microsoft, whose Lync platform is coming on strong. McLeod said that Jabber for Everyone has helped partners counter Microsoft Office Communicator and Lync deployments, declining to ballpark the number Cisco has displaced but describing it as "significant." Asked about the competitive UC threat from Microsoft (NSDQ:MSFT), McLeod said Cisco is better equipped to support multiple devices and operating systems, especially in BYOD environments, thanks to its ability to support not just IM and presence but also VoIP and video and other advanced UC tools with seamless integration. "There is always a competitor -- that's what makes this industry exciting," McLeod said. "That competitor seems to change every few years, but we're staying nimble. We enjoy and welcome competitors because it keeps us sharp." Earlier this week at VMworld, VMware updated its SMB version of vSphere, adding storage, backup and disaster recovery features that previously were available only in the full-fledged product. vSphere 5.1 Essentials Plus includes vSphere Storage Appliance, which allows a server's internal storage to mimic the functionality of shared storage hardware. This makes it possible to use advanced features such as vMotion, which moves running virtual machines from one physical server to another; and high availability, which automatically restarts virtual machines if server software or hardware fails. Many SMBs have avoided shared storage hardware because it is too expensive and adds management complexity, Raghu Raghuram, executive vice president of cloud infrastructure and management, told CRN Wednesday in an interview. In vSphere 5.1 Essentials Plus, VMware is adding a new feature that replicates virtual machine data over the LAN or WAN for basic disaster recovery. Customers can add vCenter Site Recovery Manager for automated disaster recovery. VMware also is including built-in deduplication for backup, and vShield Endpoint for securing virtual machines. "We're going to make virtualizing your data center as simple as possible, by giving you everything you need to get to a virtualized environment but taking away all the complexity," Raghuram said. VMware also is rolling out a new Web-based management tool called VMware Go Pro, which lets customers monitor and manage their virtual infrastructure and automate patch management. Customers can back up their virtual machines on the Web through a partnership between VMware and Mozy. VMware is charging $4,495 for vSphere Essentials Plus and $495 for vSphere Essentials, a bare-bones version without advanced features. Both include licensing for six CPUs on up to three hosts. VMware Go Pro, slated to become available in the third quarter, will be priced starting at $12 per managed system, but under a limited promotion, VMware is offering it free with vSphere Essentials and Essentials Plus. 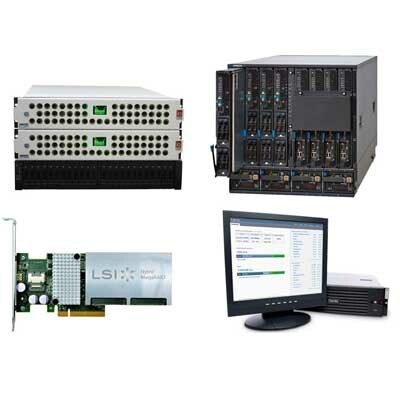 Blaine Kahle, director of engineering at Five Nines Technology Group, a Lincoln, Neb.-based VMware partner, said the bundling of vSphere Storage Appliance into Essentials Plus probably won't improve its adoption rate with customers since small iSCSI SANs are readily affordable. "If you can have a real SAN why would you emulate one with software?" Kahle told CRN. Smaller companies are on a different trajectory than larger ones when it comes to adopting virtualization, but when they do take the leap, they tend to go all in and virtualize all of their servers, Doug Smith, VMware's senior director of global partner strategy and operations, told CRN earlier this week. "They're not going to do it in a staged approach," Smith said. "For smaller customers, it makes more sense to do it all at once." Fast-growing telecom service provider Zayo Group Thursday said it would expand its agent channel offerings to include both interconnect services and co-location. It was an expected move following Zayo's blockbuster acquisition of AboveNet in July and the agent channel Zayo gained in the process. The new services will be provided through zColo, Zayo's carrier-neutral co-location and interconnect business unit, and Zayo agents will be able to access all of zColo's 20 facilities spanning the Northeast, Midwest, Northwest and Los Angeles-Las Vegas area geographies. Chris Morley, president of zColo, said the AboveNet agent community doesn't need to worry about Zayo's commitment to the channel. "Co-location and interconnection services are a natural extension to the bandwidth infrastructure products they already sell," Morley said in a statement. Louisville, Colo.-based Zayo is one of the more intriguing players in the telecom channel -- privately owned and founded in 2007 by CEO Dan Caruso and former COO John Scarano, who resigned in November 2010. Zayo initially raised $220 million in venture capital -- with backers including Battery Ventures, Centennial Ventures, Columbia Capital, M/C Venture Partners and Oak Investment Partners -- and since its inception has been making acquisitions left and right. Among Zayo's recent grabs were Arialink, which expanded its reach into Michigan; MarquisNet, a data center business in Las Vegas; FiberGate, an Alexandria, Va.-based dark fiber specialist whose pickup added 130,000 fiber miles to Zayo's metro network; and the remaining assets of Atlanta-based USCarrier, in which Zayo already had taken a 50 percent stake in October 2010. Zayo has made more than 20 acquisitions since its inception five years ago, but AboveNet remains its big prize thus far. Zayo in March said it would acquire AboveNet for $2.28 billion, and it closed the acquisition on July 2, yielding a combined company that operates in 45 states in the U.S., seven countries in North America and Europe, and sports a network of 61,000 route miles and 4.6 million miles of fiber. Zayo in mid-July said it would maintain and continue to support AboveNet's channel program -- a significant change to Zayo's own channel strategy, which before AboveNet had been mainly focused on case-by-case deals through partners. The company's channel chief is Angelo Germani, vice president, indirect channels, reporting to David Howson, president of sales and customer management for Zayo Group. Along with the Thursday zColo announcement, Zayo said it will be adding resources to support Zayo agents and their customers. It will continue to use its current master agents, Zayo said, but is also looking to recruit new agents specialized in co-location infrastructure services, too. As telecom operators look towards reducing the complex nature and architecture of their networks, deployment and roll out of wimax can reduce their complexities to a large extent. Network operators worldwide are busy evaluating or planning for these deployments, selecting vendors, identifying the appropriate network architecture and often deciding how to integrate Mobile WiMAX within their legacy infrastructure. And as operators move towards the implementation stage, attention is gradually widening beyond its initial focus on the radio interface. It was the natural place to start, as it is the main building block of a WiMAX network and is responsible for most of the spectrum efficiency and cost savings that WiMAX promises. As they start to plan end-to-end networks, however, network operators have increasingly been looking beyond the air interface, to the entire Access Service Network or ASN and the Connectivity Service Network or CSN. The ASN coordinates traffic across multiple Base Transceiver Stations or BTS and supports security, handoffs and Quality of Service (QoS). In this scenario, CSN manages core network operations through Internet Protocol servers, Authorization, Authentication and Accounting (AAA), Voice over Internet Protocol (VoIP) and Public Switched Telephone Network (PSTN) gateways, and it provides an interface to legacy core networks and other operators’ networks. Delivering the much needed flexibility to the newtork, the open IP architecture which is at the core of WiMAX marks a pivotal innovation among non-proprietary mobile technologies for this technology. It is set to decrease the complexity and cost to network operators, while increasing the flexibility in developing new services and applications and the freedom in selecting the best suited vendors. Furthermore, the adoption of an open IP architecture by network providers represents a crucial step towards empowering end users and giving them more control in choosing applications. If network operators want to reap the full benefits that WiMAX and its all-IP architecture can deliver, they need to adopt the ASN and CSN solutions that best suit their requirements and provide all the functionality required while avoiding unnecessary complexity in their network. In a move to deliver Seamless Voice & Data Solutions directed towards the Telcos, ISPs and the Enterprise Community, Shyam Networks Limited has unveiled RM 600 Series of Carrier Grade E1 Radio. RM 600 delivers carrier-class native E1/T1 + Ethernet in a single platform, making them ideal for a range of backhaul and access applications. “In today’s scenario, most of the IT & Communications decision makers are looking for that special value that comes along with a product implementation. We are announcing the availability of RM 600 E1 Radio which is ideally suited for solving communications issues in pressing situations and deliver next generation reliability and network stability. Hence, we are confident that this product is designed to deliver value add that CIOs is looking forward to,” explained, Nafis Kazim, COO, Shyam Networks Ltd.